This week community pharmacies in Ireland began stocking a generic PrEP product made by Teva Pharmaceuticals. This medication is available only with a prescription. PrEP is not currently covered by any HSE scheme so users must pay the full price themselves. Currently reported prices range from €85 to €95 for a bottle of 30 pills. 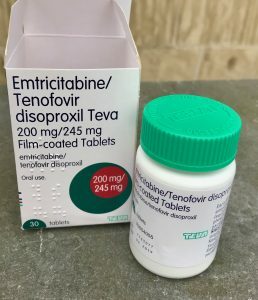 A list of pharmacies currently stocking Teva’s Emtricitabine/Tenofovir disoproxil tablets is available from HIV Ireland’s PrEP information page. This list is expected to continue to grow, and you can ask your local pharmacy to order it if they do not currently stock it. 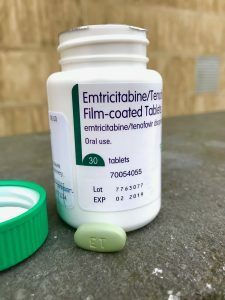 Although this is good news for some PrEP users in Ireland—at least those who may be able to afford to buy PrEP at this price—it is important that we recognise that we are still a long way from PrEP being available and accessible to everyone in Ireland who could benefit. If you are using PrEP it’s important to get proper medical support and a prescription. Currently there are two clinics in Dublin that provide support specifically for PrEP users. Dublin’s Gay Men’s Health Service on Baggot Street runs a walk-in PrEP support clinic for gay and bisexual men and trans people. They offer information on how to get and use PrEP, along with a consultation with a supportive doctor who can answer questions and provide a prescription. This GMHS clinic is open every Thursday morning from 10am to noon. The Mater Hospital runs a Prevention Support Clinic providing the same range of services to anyone interested in using PrEP. This clinic is by appointment, and there’s information available about it here. To make an appointment you can email psc@mater.ie, or just print out and mail in this referral request form. We’ll be providing a more detailed update about these recent developments shortly. HIV is *still* a political crisis.